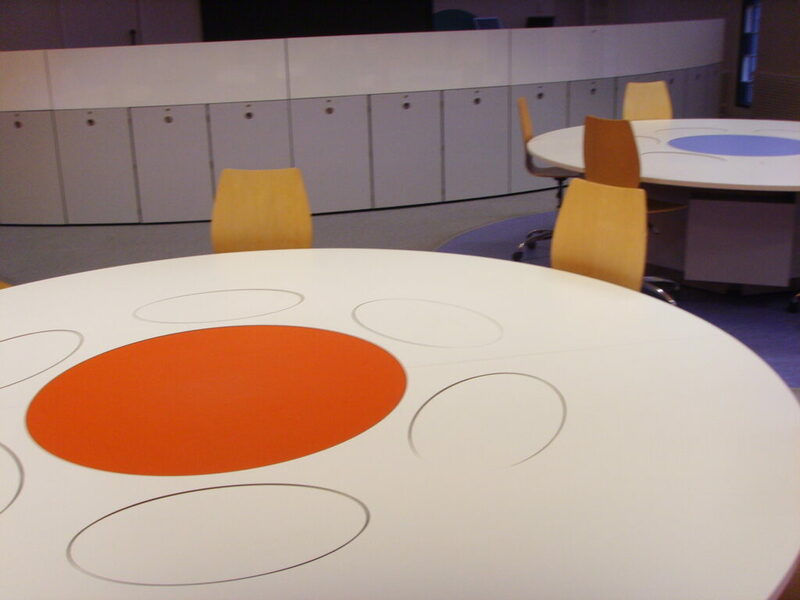 With learners ranging from Primary school pupils to adults, Wolverhampton CLC needed a supplier who could fulfil a very specific brief. 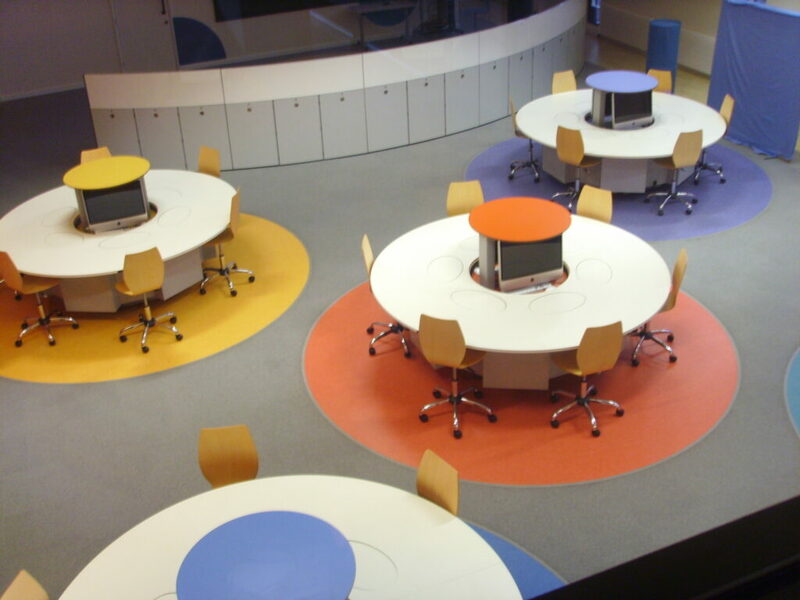 zioxi were appointed because of our willingness to adapt our standard products and our skill in integrating ICT – both essential in realising the CLC’s vision. 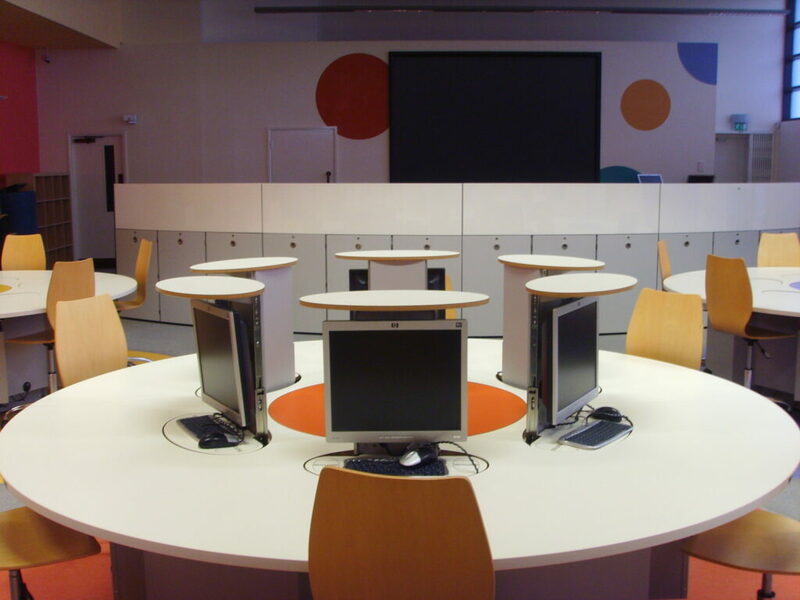 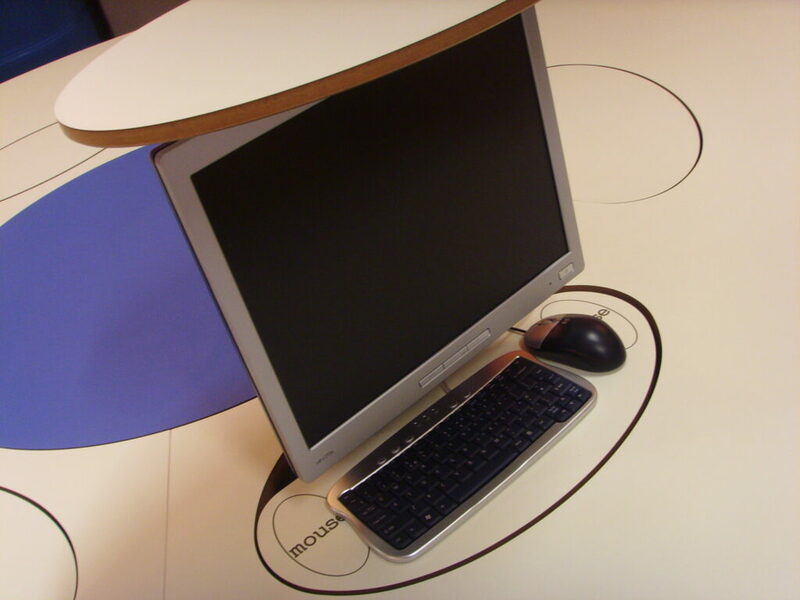 Five large collaborative tables conceal PCs and Macs which can be individually raised or lowered at the touch of a button, leaving large clear worksurfaces for lessons that don’t require ICT. 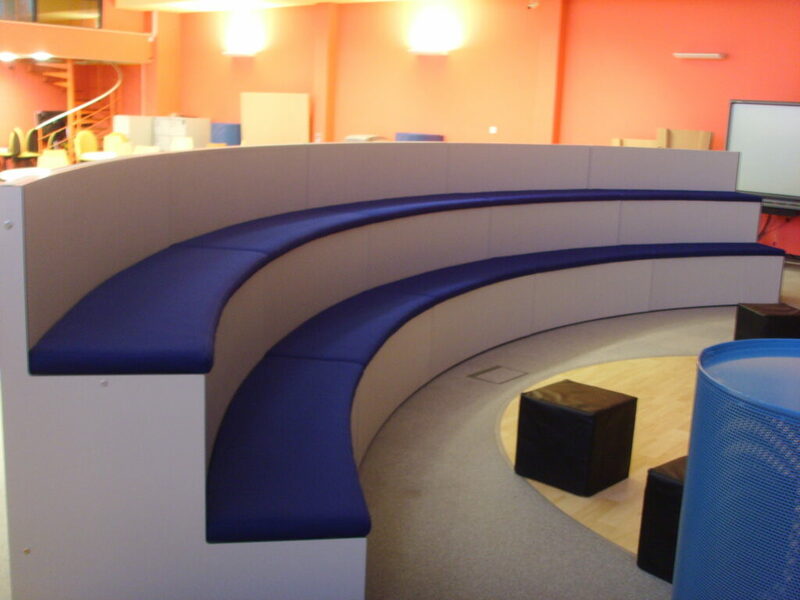 zioxi StepSeats provided tiered seating (and lockers for pupils’ belongings) creating an auditorium style area with a large screen for presentations.